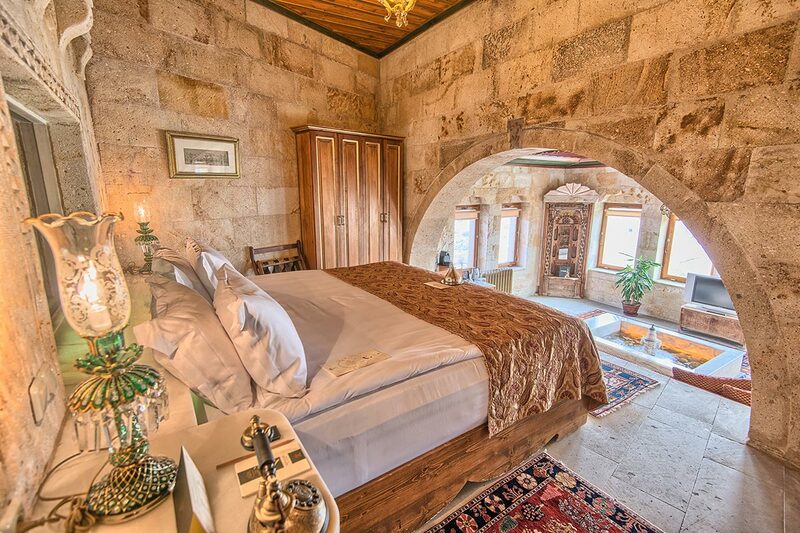 With one of the best views not only of the entire hotel but also Cappadocia, Divan Suite is named after the Ottoman style divan in the room. 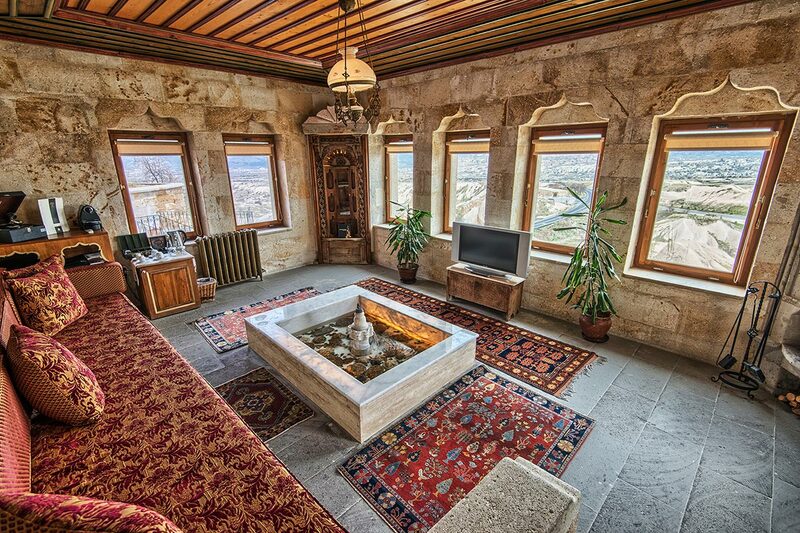 Spend some time in Divan and you will begin to feel like you are the king or queen of Cappadocia. 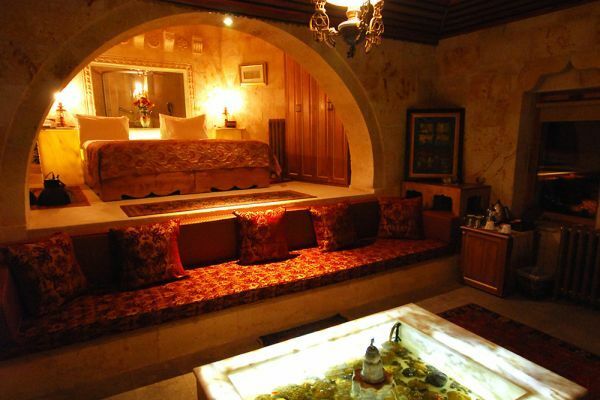 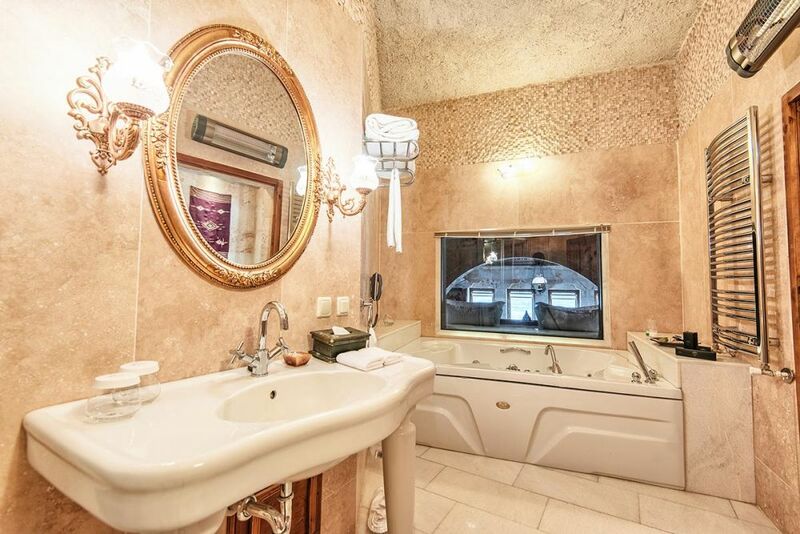 The palace pool in the front of the suite has been decorated with fossils from the region and ornamental fish. 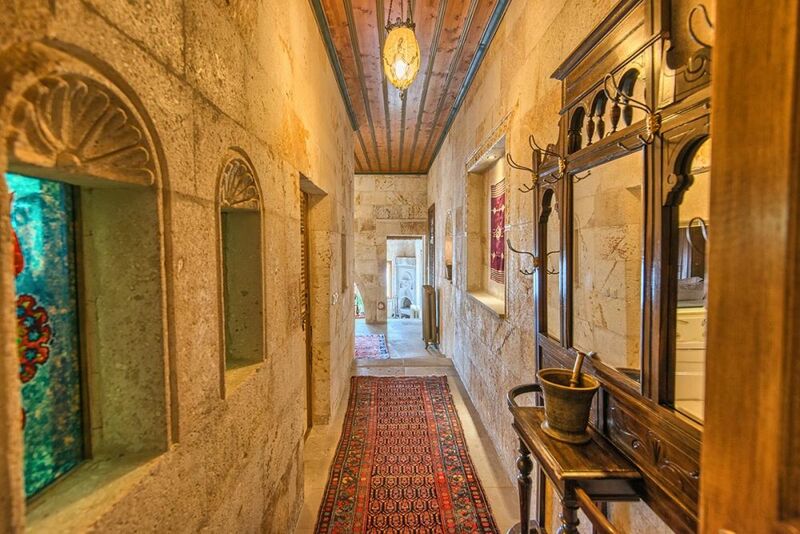 The room is further decorated with rare antiques and offers a superb view of the 100 or so beautiful hot air balloons that rise peacefully into the dawn each day.